Many economists were caught leaning the wrong way on the July jobs number, as the whisper was that the number would end up coming in below the 180,000 consensus. In the end, the US economy ended up adding 255,000 jobs in July, while the unemployment rate remained unchanged at 4.9%. This number resulted in the stock market putting in a very strong day on Friday and also greatly increased the chance of a 2016 rate hike. There were a total of 151,517,000 employed Americans in July, up 420,000 from the month before. The number of unemployed fell from 7,783,000 to 7,770,000, while the number of Americans not in the labor force also dropped from 94,517,000 to 94,333,000. These numbers resulted in the labor force participation rate ticking up from 62.7% to 62.8%, while the unemployment rate remained unchanged at 4.9%. The unemployment rate for adult men increased slightly to 4.6%, while the unemployment rate for adult women dropped from 4.5% to 4.3%. The unemployment rate for teenagers (16-19) dropped from 16.0% to 15.6%. The total nonfarm payroll numbers for May were revised from +11,000 to +24,000, while the June numbers were also increased from +287,000 to +292,000. Thanks to the strength of the jobs report, traders are now pricing in a 46% chance of a rate hike by the Federal Reserve before the end of the year. 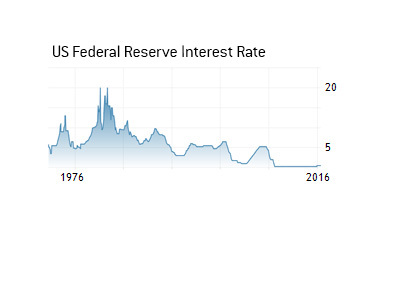 The odds of a rate hike have increased dramatically in recent months as fears over "Brexit" have abated and the US economy has continued to add jobs at a decent clip.